Today is the day! 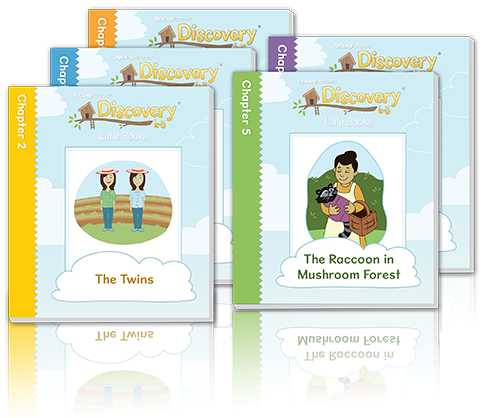 Reading Horizons has now released their long-awaited, revised version of their Discovery At-Home Reading program! 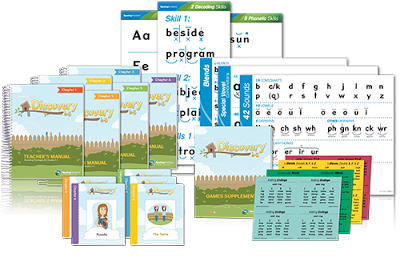 This YEAR ROUND program can EASILY be used in a home or classroom setting to help beginning readers excel in their reading skills! Whether your child simply needs a push start in understanding phonics, or has been diagnosed with a common learning disability such as dyslexia, this program provides simple, step-by-step instruction for children ages 4-9. I had access to both and prefered the easy-to-use instuctor guided materials. They were detailed and self explanitory and you could use as little or as much of the material that you felt your child needed. I used parts of the program with both my four and five year old. The first few lessons seemed very easy for my five year old. I wasn't sure how to assess this and where to start him in the program. Then I started printing out the assessment tests that I was able to access on the Reading Horizons website. I allowed my child to go through them and quickly found out where to start him out in the program! The four year old still needs to work on some basic sight words and I plan on bringing him back into the groove when he is a little older. He loved the interactive aspects of the program where you engage the child by motioning to them and have them motion to you as they speak the words/letters/sounds before writing them. I know he is looking forward to getting back into this once he is at the right level to begin! When you have active children as I do, it seems as though you are trying to find ways to engage them whenever you can! 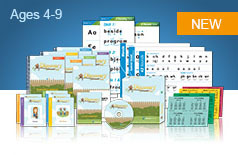 This program not only has a great outline for each lesson with tips and suggestions in the margins but several reading based activities and game ideas are provided in a separate manual. 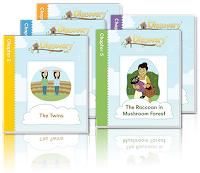 Many of the games can easily be used by homeschoolers even though this program was designed for large group use. Instead of using a blackboard or interactive whiteboard (obviously I don't have these in my homeschool), I would either use a white erase board or simply a scrap piece of paper. Instructor Material comes in the form of neatly organized manuals to last you an entire school year. A separate manual is provide for the games and a CD Rom is included with plenty of worksheets to go along with each lesson! Extra Resources include access to Reading Horizons Accelerate where you can also download and print reading assessment pages and other materials. This program uses a multi sensory method called the Orton-Gillingham approach. It is a scientifically based reading program that incorporates tried and true teaching methods. by teaching phonics in a way that enables students to improve reading skills and even increase reading grade levels quickly. 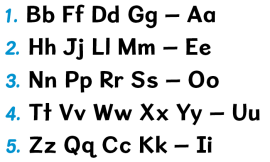 In a nutshell, it teaches the 42 sounds of the alphabet, five phonetic skills and two decoding skills. The student learns quickly how to mark and sound out words quickly and correctly in an effective manner.